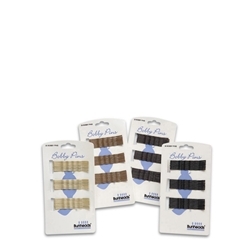 The Capezio® Bobby Pins come in Black, Blonde, and Light Brown. Each pack contains 25 Bobby Pins. Capezio® Bobby Pins are perfect for keeping your hair the way you need it throughout each dance rehearsal and performance.